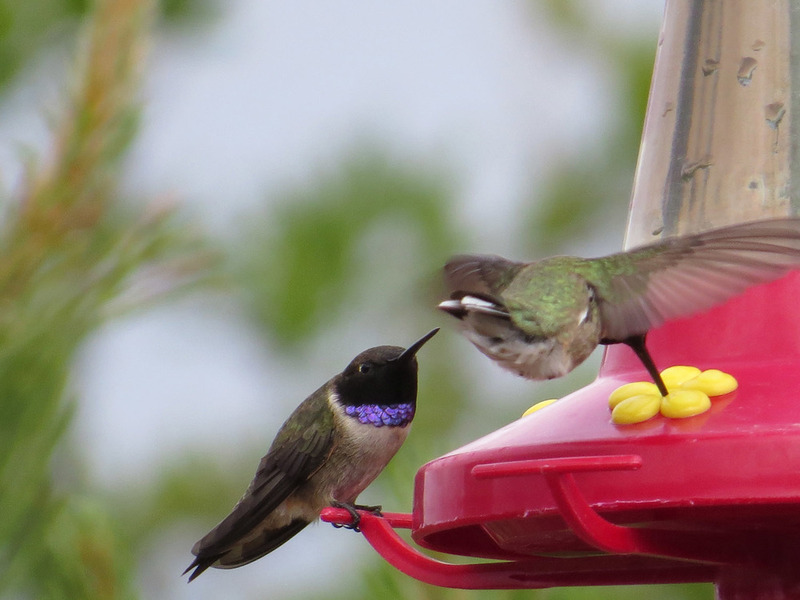 This page displays the beautiful black-chinned hummingbirds (Archilochus alexandri) I saw in Arizona April 29-May 3, 2016. 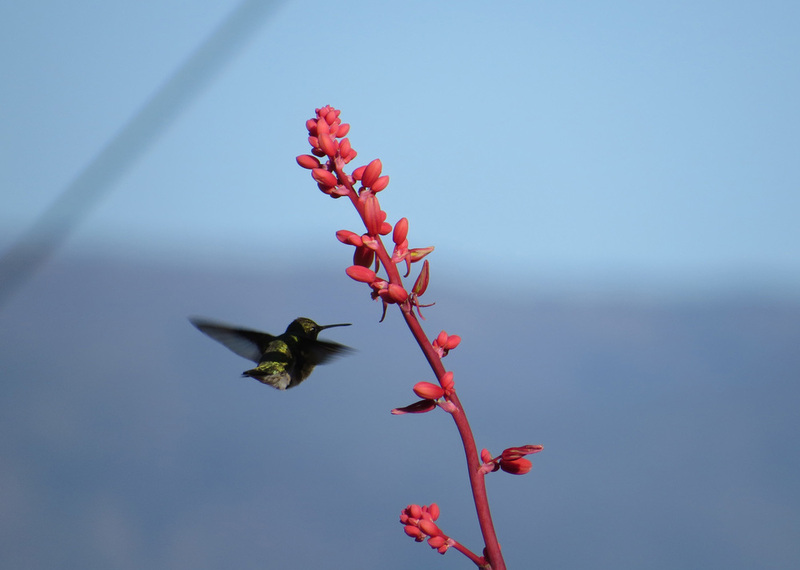 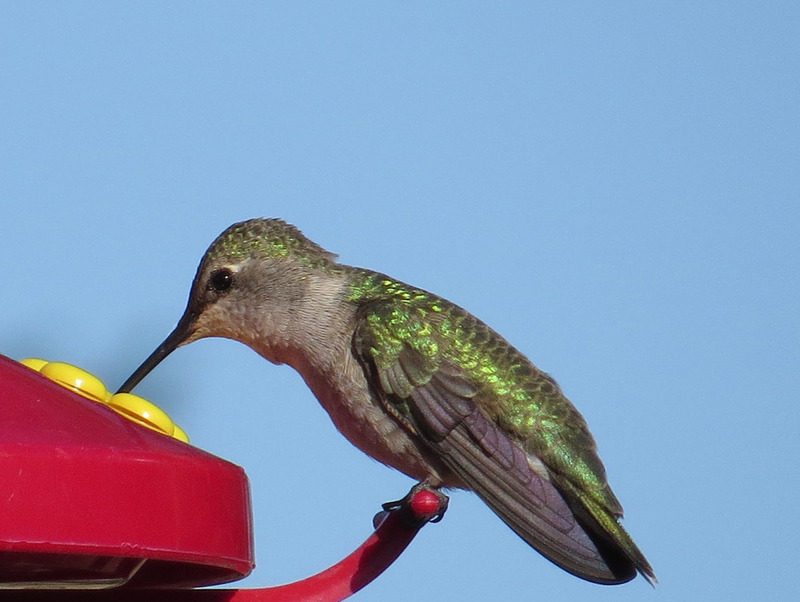 We visited the copper-mining town of Jerome, where a souvenir shop has multiple hummingbird feeders outside, and I got a chance to capture video of the black-chinned as well as a few Anna's hummingbirds. 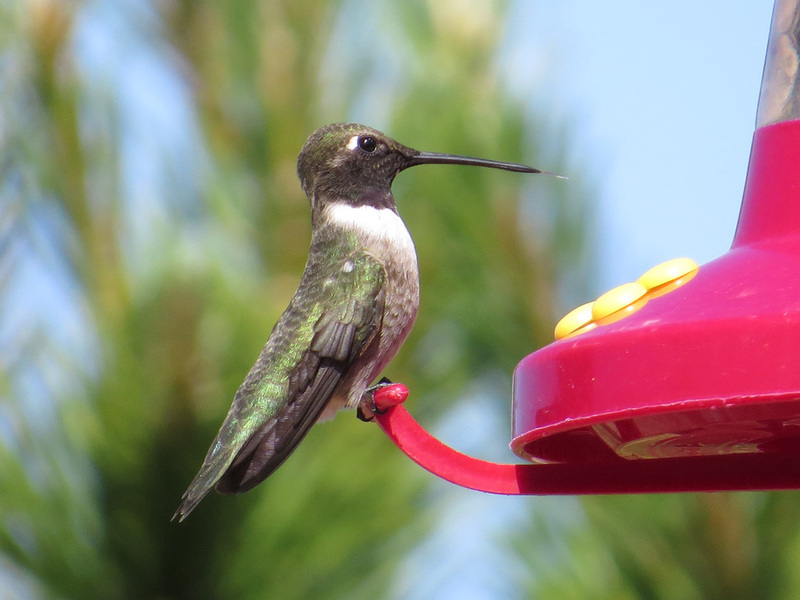 Most of the photos and video segments here, though, come from Camp Verde, Arizona, where my generous hostess made sure the hummingbirds had plenty of sugar water to drink every day in her backyard. 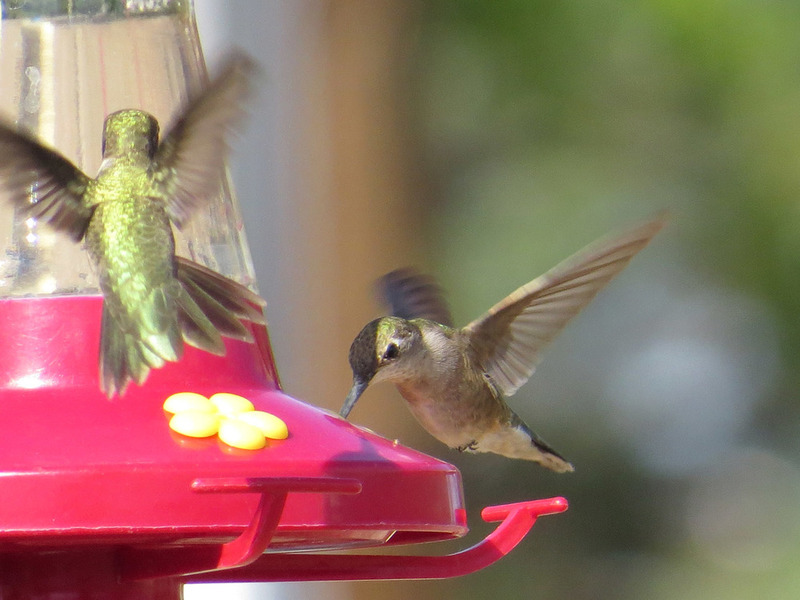 And that ensured I had many opportunities to film these gorgeous birds. 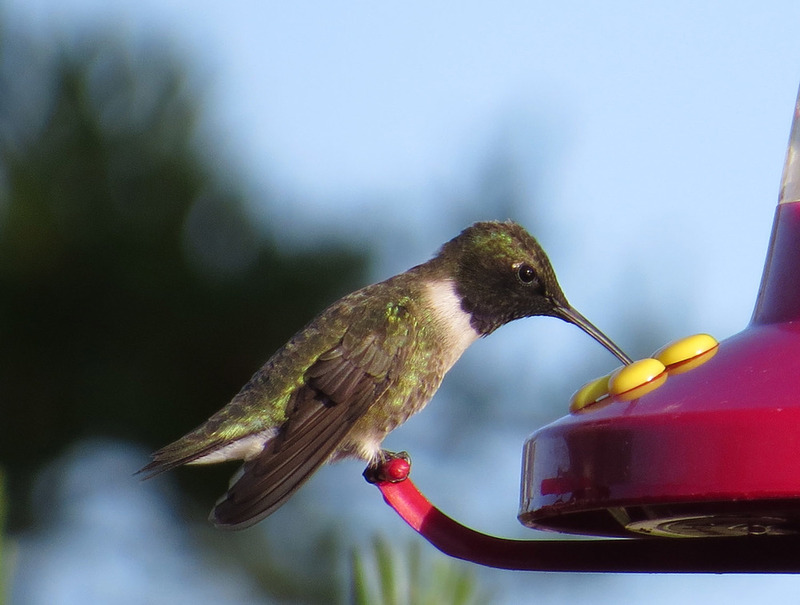 In some of these photos you can see the male's black chin, which reflects brilliant violet in the sunshine. 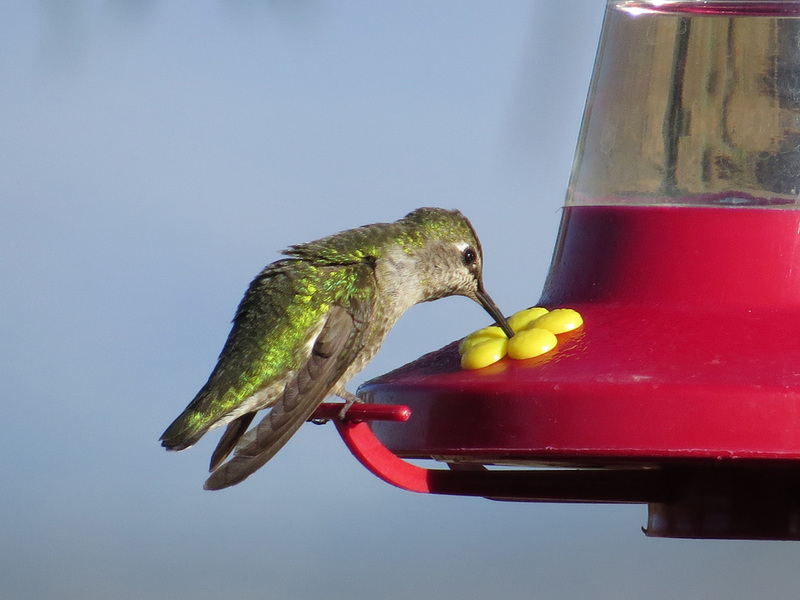 These birds were very territorial, and often spent more time and energy chasing off their fellow hummingbirds than actually drinking, which made sure the bees got their share of the sweets.